This post is on how to register for JAMB UTME 2015 at UNILAG ICT Center. 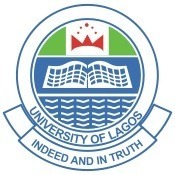 The University of Lagos CITS has started registration for prospective candidates for the 2015 Unified Tertiary Matriculation Examination. The following is the message released by the Management of UNILAG spelling out the procedure to follow. Candidates for the 2015 Unified Tertiary Matriculation Examination (UTME) can now register at the Center for Information Technology and Systems (CITS) of the University of Lagos, one of the Computer-Based Test (CBT) centers accredited by the Joint Admissions and Matriculation Board (JAMB) to register prospective candidates. Step Three: click on “UTME REGISTRATION CONFIRMATION” and print the pay advice. Step Four: use the pay advice to pay the N 700 (Seven Hundred Naira only) registration fee at any branch of: ECO BANK, Guaranty Trust Bank (GTB) or WEMA Bank. Step Five: take the endorsed pay advice and two recent passport photographs (not older than three months) to the CITS, UNILAG, to complete the registration process. We will continue to bring you information on how to register for 2015 UTME at other centers in Lagos and all over the federation. Stay with us and don’t miss these information. To stay updated, subscribe to our updates. You may also want to check the general information on the 2015 JAMB registration. There is also information on how much the JAMB form is and important note on the recommended textbook recommended by JAMB for literary appreciation exam. All candidates will attempt it. We wish you the very best!!! !